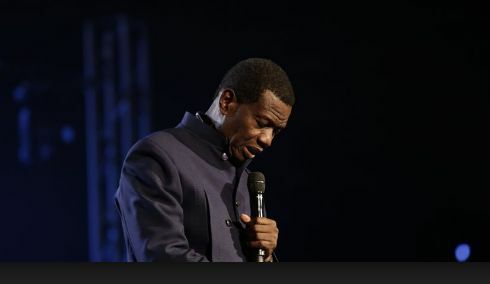 The respected General Overseer of the Redeemed Christian Church of God, Pastor Enoch Adeboye, has said that God delivered him from the claws of former military Head of State, late General Sani Abacha without any human intervention. Speaking in the early hours of Saturday during the annual Holy Ghost Congress 2016 of the church tagged ‘Complete Restoration’, Adeboye, who chose not to directly mentioned the name of the former military ruler, narrated how the late Head of State made plans to arrest him in the wake of his (Abacha’s), planned translation from military ruler to a civilian leader in 1997. Addressing the congregation, which include the Vice President, Prof. Yemi Osinbajo and Governors Akinwunmi Ambode and Olusegun Mimiko of Lagos and Ondo states, he said the encounter is an example of victory without a physical fight. He said: “When you read 2 Chronicles 20:1-25, you will see the example of victory without a fight in the life of Jehoshaphat. “You will remember those of you, who know the details; Nigeria was living under a siege at a particular time. There was a reign of terror by a military president who wanted to transform to a civilian president. “In the process of trying to realize his ambition, his herbalist told him that this plan cannot come to pass because of a certain man who is praying at a place called Camp and that unless you remove that many your plan won’t work.